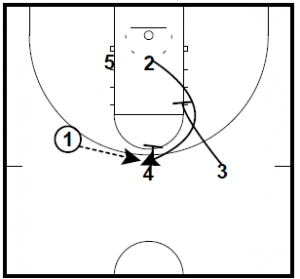 A couple of man to man plays from the 2017 Men’s NCAA Tournament. 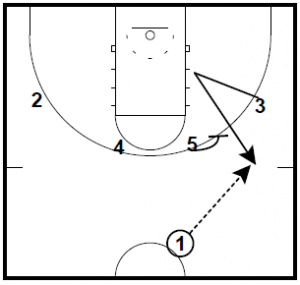 The plays are from the 2017 NCAA Tournament Best Man Offense Plays eBook by Matt Bolger. 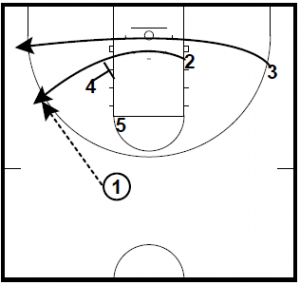 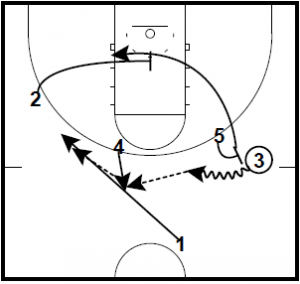 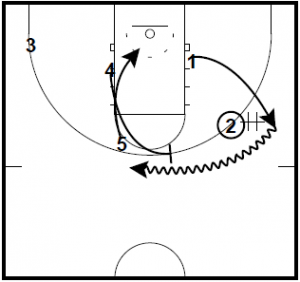 2 cuts to the wing off a screen from 4. 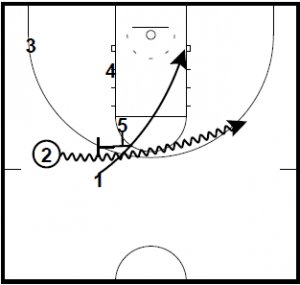 3 cuts through to the opposite corner.